There is no talk of a deal at Stormont. 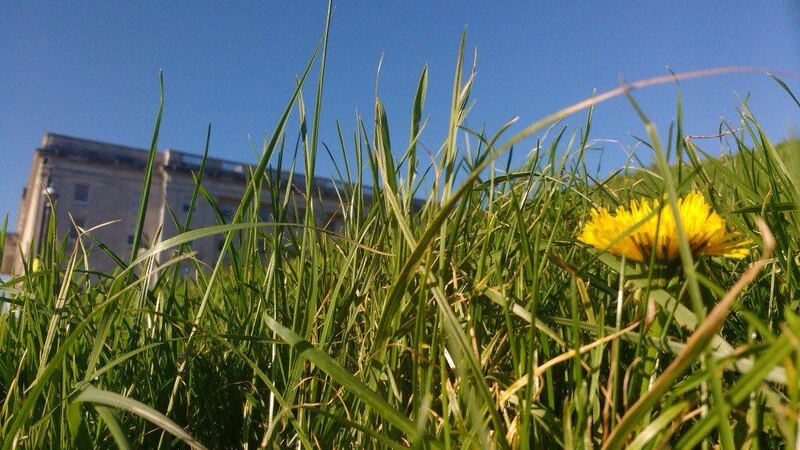 Talk, yes, of another deadline approaching; but deadlines are as relevant – or as irrelevant – as the dandelions on the political slippery slopes of this place. The next talk might be the NIO trying to explain that direct rule is not direct rule; that progress is still possible; that the talkers need yet more time to talk. This line – nine months-plus after negotiations began – has little or no credibility. 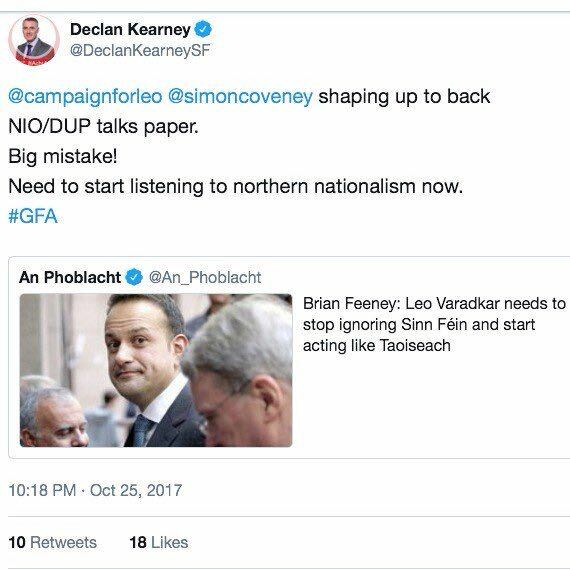 Dublin and Sinn Fein are already engaged in a blame game. 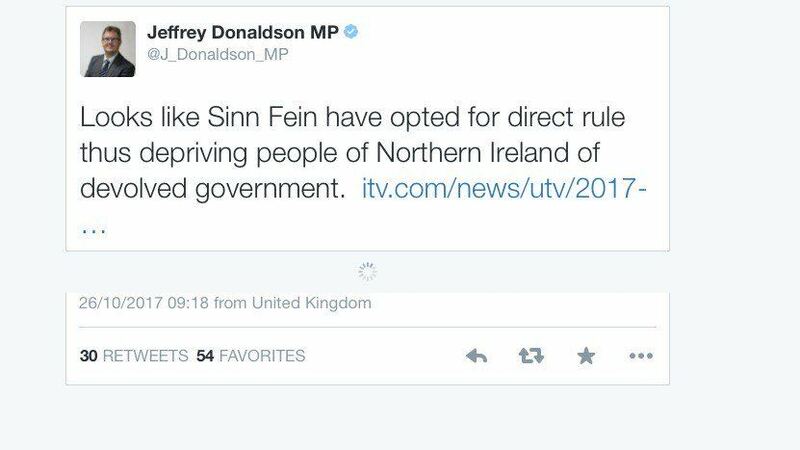 Some in the DUP believe that Sinn Fein has opted for direct rule. The republican position has been set out time and time again; if there is to be a return to the Executive, then that list of rights-based issues will have to addressed and resolved. It is clear, that position is not going to change. Soon, in the absence of agreement, British Secretary of State James Brokenshire will have to address budgetary matters; and, the more he does in London, the further this process moves away from the devolved space. He may not want to call it direct rule, and will call it anything but; but no one is being fooled. Yet another phase of negotiations is approaching its end point, with things – in the words of one source – still “down the tubes”. If something does not happen soon, then, in the opinion of another talks insider, the negotiations may have to be parked until the New Year. It is obvious that Brokenshire does not want to put the bolts on the Stormont doors – shut the place down; but this has become a joke Parliament – now home to joke politics. There are republicans speaking privately about the credibility – or lack of credibility – of this long process. If that mood becomes a pulse, as it did at the start of the year, then there will be decisions to be made by the Sinn Fein leadership; decisions about how much longer they can continue to be part of this pantomime. London and Dublin are not spectators but players in this process. They need to have an opinion about how things became so broken – including their parts in that – and how they can now be fixed. They need a plan – not a blame game. October 27, 2017 in News & Current Affairs. Surely that should read “if there is to be a return to the Executive, then that list of rights-based issues will have to be implemented”?